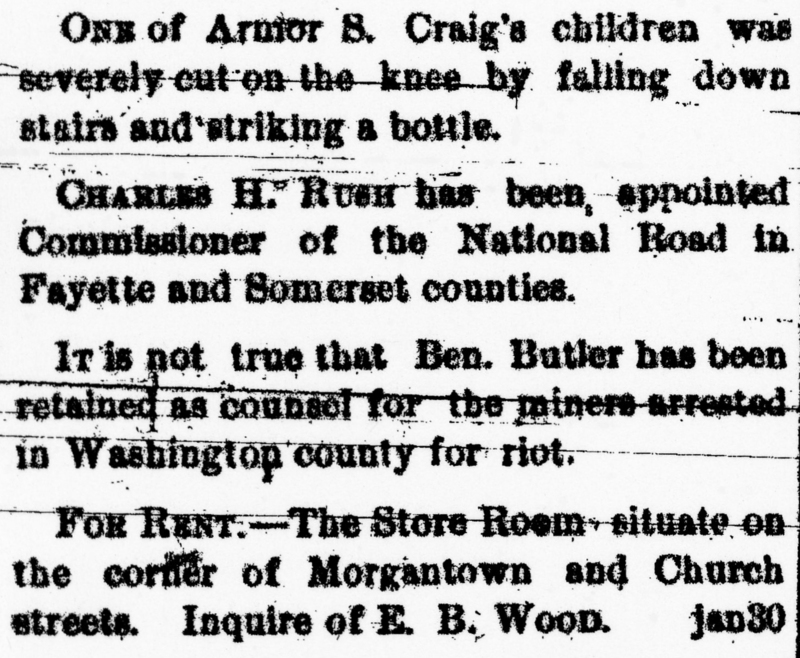 While the notices in this 1879 edition are all run together, some papers separated them by locale. Smithfield might have its own column, for instance, as could Dunbar or Fairchance. Even if your ancestor is never mentioned, I encourage you to read these sections to learn about the place where they lived and the people they called neighbors. That’s a tooth about every five seconds, folks. Dr. Stewart’s services were advertised three different times on this page. Maybe he really was “peerless for correctness and quickness in the extraction of teeth,” as the Standard claimed. In sum, the Local Brevities acted as a catch-all for news and commentary that didn’t warrant a full article. The section gives you a taste of the writers’ wit and shows you what was on the county’s mind at a particular time. Stop by the PA Room to have a look! 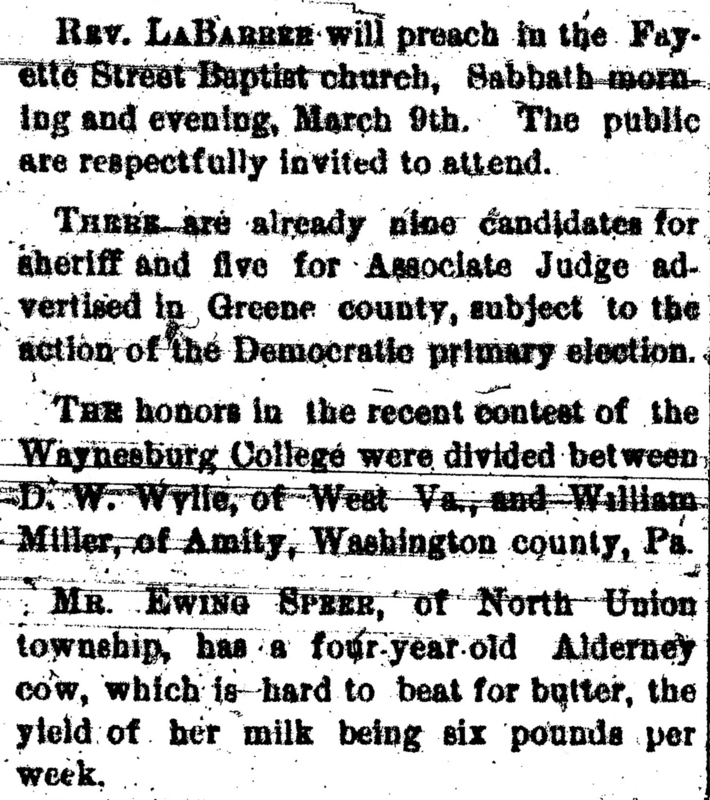 “Local Brevities.” American Standard [Uniontown] 6 Mar 1879.